Meet Stephanie D. Ortiz Solla! Stephanie is a charismatic professional who is fully immersed in her discipline, which shows in the enthusiasm with which she explained to me what she does. In the field she is confronted with uncomfortable situations which with her skill she has learned to transform to positive experiences. In her everyday cultural experience in the diverse city she lives in, transforming negative vibes to positive is also something very familiar to her. Stephanie graduated from the School of Architecture of the University of Puerto Rico, and moved to New York City to further her studies in her passion, preservation. She is now a Program Assistant at the World Monuments Fund New York office. At WMF she works directly with the Latin-American program and assists the project management of preservation projects from all over the world. Her future professional development is guided by historic preservation. But although she loves research and writing about preservation sites, as an architect her longing is also within the building. Her return to Puerto Rico is imminent, but will occur whenever she gathers the sufficient skills to contribute a change in her field. M- What was you process of coming to NYC? The reason for which I chose to continue my studies is because I felt that from what I had learned at the UPR in respect to historic preservation, as the program was starting, I needed more education in this area. Instead of attending another design program, since I had already completed my Bachelors and Masters in Architecture, I wanted a program where I could concentrate in historic preservation. Pratt is focused on Community Preservation & Advocacy. This last concept is about learning to defend historic buildings, which is a step further than designing interventions, and in that sense it positions itself outside of architecture. By going to Pratt, I distanced myself from architecture. I chose NYC over other cities because being in the East Coast is closer to Puerto Rico, and you don’t have to cross the country. Additional to that, there are more Puerto Ricans in NYC, who become your support system away from your family, and that is part of its appeal. M- What was your experience like confronting cultural shock when you first arrived in NYC? I realized how fortunate Puerto Ricans are for being bilingual, and being able to manage both English and Spanish. In Pratt, by chance the projects I worked on were in Hispanic neighborhoods, and I was out of twenty-four students, the only one who spoke Spanish. In this sense the skill was needed, and being bilingual was an advantage for my class and me. In Brooklyn some people made it their mission to let me know I’m not white. There was a lady who said something very derogative to me, and she said in English but at the time I didn’t know what it was. It was a work I hadn’t heard before, but in the way she said it I obviously knew it was bad. I didn’t say a word and continued on my way. When I got home I searched for the word… and well I would’ve liked to know it to be able to answer it. But that was at the beginning. When you see people talking and you hear derogative in what they are saying, I’m not going to give it importance; I will stay mute when it doesn’t warrant a response, yet when it does is different. M- Do you consider yourself Hispanic or Latina? I’m the Puerto Rican; it’s not even Latina. I’m a Spanish-speaker, but not Hispanic nor Latina. Saying I’m Puerto Rican is more distinct. M- As a woman, have you had positive or negative experiences in how you are treated professionally? Maybe something that was insignificant, but that it always stuck to me, is that being a woman has its advantages in the field. When I was doing research in a site in New Jersey for Pratt, I told my supervisor I didn’t feel comfortable entering the merchant territory, to the boroughs were there were a lot of people from the Caribbean and South America, and from Brazil, but most of the merchants spoke Spanish. I told her that when I went there it was evident I was an outsider, entering as a student, and wanting to talk to them about their economic situation, its difficult. I felt I was being nosy by coming from outside to want to talk to them. She told me the advantage I had for being a good-looking girl with a pretty smile; to take advantage of that. If it were a guy, they would possibly not talk to him. She told me to take advantage of the fact I am a girl. M- After Pratt, what was your process? During my first year at Pratt, I did not work. I was focused on Studies Turing the semesters. That vacation break during the summer I did look for internships and did one in conservation for which I did surveys. I always worked with projects that tied to Hispanic or Latino communities. In one way or another I always write about Puerto Rico. First about a park in a Puerto Rican community that was forgotten. In that area of Brooklyn you could ask the current residents and they will say that area has always belong to the Irish, Swedish, or any other group that worked the docks. At any time would they give the information that it was a very big Puerto Rican borough. It was one of the first Puerto Rican boroughs before the Spanish Harlem and before the Lower East Side, because that was where ships arrived. The park transformed into a shantytown, and people said it was drug territory yet that was not the case necessarily. The construction of houses in this way was a phenomenon in NYC, because when Puerto Ricans were thrown out of their homes they found empty lots and constructed houses with wood, they invade terrain and created a borough. There were houses there, and today that typology is appreciated and considered historic. There are very little still in NYC and efforts are being made to preserve them. I later wrote about the historic preservation of the Puerto Rican boroughs in NYC. I worked in Hunter College’s Center for Puerto Rican Studies, which has information about the diaspora in the US and specifically in NYC. It is an enormous source of information for any person that is conducting Puerto Rican studies here in NYC, of all politicians and people that did something for the society, in Puerto Rico and from the US. This job I got thanks to a professor that had worked with them and told me they were looking for someone to help with archives. During the last semester of my studies at Pratt I worked with PortSide New York, a non-for-profit that is dedicated to educating and building appreciation for maritime resources. The offices are located in a retired oil tanker parked at the Navy Yard in Brooklyn. The job I currently have came from a my relationship with a professor who worked in World Monuments Fund, and who taught the only class in Pratt about International Conservation. Pratt’s program is very focused to NYC, which is good and bad. The International Conservation class gave a preview of sites around the world and the possible work that could be dome there. I was delighted with that class. I have a friend that invited me to the WMF offices to see a public presentation about the Ginger Bread Houses in Haiti, which I had written an essay about. While I was there I talked to who was my professor. In an informal conversation I told her I had graduated and that was looking for a job for the summer or something more serious, and that if they needed someone, specially someone from Puerto Rico, who spoke Spanish to work with the Latin-American sites, that I was interested. She told me to send her my resume, and two weeks later I was working there. I started as an intern for a three-month period, in June 2011, and in August they made me an assistant. M- About your education at Pratt; you did research, site visits and writing. What else does it involve? Historic research, and oral history because its not only about preserving the building, it is also about the intangible heritage. There it is more about the community’ history, the ceremonies and traditions; all the rites that the community has or has had. It is a way of documenting them or involving the new generations to rediscover the importance of them. The program at Pratt is part of the school of Planning. For the project at New Jersey it was about creating a plan of how to intervene in the site, not in the buildings but a master plan. There was urbanism involved because we needed to create public spaces, and the sidewalks had to be a certain way. It was not to the point were we designed or specified them at a high level; but it was important to recognize what the community had and what it did not have, and how to create a map of key points. The purpose was to support local businesses, with a local focus, and then how to enable a community emergence. M- What is WMF for an architect? Ultimately as an architect, what is WMF for you? It may be so that I am starting in WMF backwards. Many architects end up working for WMF, for example many of my supervisors are retired architects that are now Project Managers. So maybe later I’ll move to Project Manager. WMF provides financing, as well as project management for restoration and preservation projects, depending on the case but the always need to be in contact with architects. To a certain point when I was reading about the sites in which we are working on around the world, although I love what I’m doing and I love writing about those sites, as an architecture graduate I desire to be out there. I would like to work in what they are doing at a physical level, and not be here writing about it. In WMF although you talk about intangible heritage, in what we focus on are interventions in buildings, structures or what is tangible within preservation efforts. M- Where are the projects that the NYC office addresses? The NYC office is the principal. In general, WMF works in more than ninety countries around the world. We have affiliate offices: WMF Peru and WMF Spain, which are Spanish speaking. Other locations include WMF Britain and WMF France; additionally we have affiliates at India, China and Africa. I report to the Latin-America, Spain and Portugal program director, Norma Barbacci who manages these from the US. All other locations of variable autonomy, in some way report to my office. M- With what do you work directly or indirectly? What are your responsibilities? I work with the Latin-American director, as an associate for all the Latin-American sites. I work with the people related to the project, I do most of communications exchange with them, and I make sure every is running smoothly in support Norma who is doing the Project Management. Part of my position is that I am in charge of the WMF’s Social Outreach in Spanish. We have two landing pages connected to WMF Spain, where we provide content in Spanish, updated, news and information pertaining the projects we are working. Who researches content for these pages and makes sure everything is renovated is me. Additionally we have a complete social media campaign through Twitter and Facebook. Every two years WMF has a Watch, which is for people to nominate sites around the world that for some reason might be at risk. Natural disasters, abandonment, mismanage, political problems and others, are some of the causes for risk. Every two years an international panel of judges external to WMF is formed for selecting the sites to which WMF gives money for a project or for which a campaign can be created for international promotion. Once a site is put on our website for promotion, no matter how unknown it is, interest for its preservation emerge. The social media component is very important for spreading the word. In Twitter and Facebook the followers are maintained with weekly publications. There are moments were exponential growth is reached, for example in the case of the Cabanyal in Spain which involves a great political controversy, when the Spanish press publishes that WMF is getting involved people went to Facebook. M- What reach does your work have in Puerto Rico? The San José Church at Old San Juan was a Watch Site in 2004, and WMF gave money for the restoration. WMF could work much more in Puerto Rico if people would nominate more sites. The heritage in Puerto Rico has many beautiful things of great historical value, and if people are going to work on them they should know the resources WMF has to offer. The Modernist price that WMF gives every two years is one that in Puerto Rico it be taken more advantage of. This last year I wrote to a lot of professionals in Puerto Rico inviting them to submit work or spread the word if they knew anybody who had worked in the rehabilitation of a building from the modern movement to be nominated to the award. This year the Museo de Arte de Ponce was nominated, who’s renovation was in charge of architect Brigida Hogan. That is a Edward Durell Store building, which has received very little recognition in the US but its architect is very recognized although he is also a controversial figure. The building has a lot of merit and it is being considered. I am happy that it entered the nominations, but it bothers me that a more comprehensive database for finding this type of works does not exist for making sure more work is nominated. M- Who in Puerto Rico has the responsibility of being aware of this? There are a lot of historic preservation practices in Puerto Rico, and the architect Beatriz del Cueto who worked with the San José Church, was who nominated it for the Watch. That I keep in contact with people like Karen Cuadro, architect in training who is very active in heritage efforts in Puerto Rico, it may open the doors for further efforts and spreading the word. M- How do you see yourself developing professionally in this organization or others within the next 5 or 10 years? I would like to work again with the building, directly on the architectural work, although not necessarily as a designer. I can do documentation, and work with the improvements on a building. I wouldn’t be an architect for creating beautiful images. But I am still experimenting with what I’m doing at WMF, and observing where is it taking me. Quisiera poder viajar por el trabajo. WMF es una organización tan internacional, uno trabaja con tantos proyectos alrededor del mundo y tiene comunicación con tantas personas de diferentes nacionalidades que quizás el componente internacional o de nómada esta implícito. M- Will you still be at NYC? US? Or would you return to PR? For now I love NYC, and I love living in Brooklyn, but I will return to Puerto Rico. I panic about living most of my life in NYC or in the continental US. I want to always feel that I am from Puerto Rico, the island. I’ve only been here for three years. But I think whatever I’m learning here will help me contribute when I return to Puerto Rico. M- Who is Stephanie Ortiz? I am who I’ve always been, and at the same time there’s part of me that continues to evolve. Dedicated and hungry for knowledge. Wanting to know more of what’s being done, why and how to make it better. That is within historic preservation, to see how I can do it, and how I can return to Puerto Rico to contribute there. Who I’m going to be is the one who develops here in the US and learns from all of it, specifically in my professional career for then returning to Puerto Rico to shake things up. I have discovered that one way or the other, what I do in my future will be tied to preservation. Historic Preservation is my guide. M- ¿Cuál fue tu proceso por el cual llegaste a NYC? La razón por la cual escogí seguir estudiando fue que sentía que por lo que había aprendido en la IUPI en cuestión de preservación histórica, al estar empezando el programa, me parecía que yo necesitaba más educación en esa área. En vez de irme a otra escuela de diseño ya que había terminado tanto Bachillerato como Maestría en Arquitectura, quería un programa donde pudiera concentrarme en preservación histórica. Pratt está dirigido a Community Preservation & Advocacy. Esto último es más sobre cómo defender los edificios históricos, un paso más allá de diseñar intervenciones, y en ese sentido se sale de arquitectura. Por lo que en Pratt yo me salí de arquitectura. Escogí NYC sobre otras ciudades porque al ser East Coast está más cerca de Puerto Rico, y no es lo mismo tener que cruzar una brecha tan grande si era al otro lado de EEUU. Adicional hay mucha más gente de Puerto Rico en NYC, quienes se convierte en tu support system fuera de tu familia que está en Puerto Rico y eso es parte del atractivo. M- ¿Cómo fue la experiencia del choque cultural cuando primero llegaste a NYC? Me di cuenta lo afortunados que somos los puertorriqueños al ser bilingües y poder manejarnos en inglés como en español. En Pratt, da la casualidad que los proyectos que me tocaron eran muchos en barrios que eran hispanos, y yo era la única de veinticuatro estudiantes que sabía hablar español. Obviamente la gente de los barrios me hablaba más a mí, y por eso habían enormes ventajas, en uno poder dirigirse a todas estas comunidades tanto en inglés como en español. En ese sentido se necesitaba, por lo que en Pratt mi habilidad bilingüe fue una ventaja. En Brooklyn me di cuenta de que yo no soy blanca. La gente se dedicó a hacerme saber que yo no era blanca. Hubo una señora que me dijo algo muy despectivo, y me lo dijo en inglés pero al momento yo no sabía lo que era. Era una palabra que en mi vida había escuchado, pero la manera en que me lo dijo obviamente yo sabía que era malo. Pero yo nada le dije, me quedé callada y seguí caminando. Cuando llego a casa y busqué la palabra... pues me hubiera gustado haberla sabido para decirle al momento algo peor. Eso fue al principio. O sea, uno ve cuando la gente está hablando, escucha algún tipo de discrimen en algunas cosas que dicen, pero no le voy a dar nada de importancia al asunto, me quedo callada cuando lo amerita, si no lo amerita pues no me lo quedo. M- ¿Te consideras hispana o latina? Yo soy la puertorriqueña; no es ni la latina. Soy la hispanoparlante; pero así de hispana o latina, no. Decir que soy puertorriqueña es más claro. M- Como mujer, ¿has tenido experiencias positivas o negativas en cómo te tratan profesionalmente? Quizás algo insignificante, pero siempre se me quedó, es que ser mujer tiene sus ventajas en el campo. Cuando yo estaba haciendo la investigación en un site en New Jersey para Pratt, yo le comentaba a mi supervisora que me daba algo el estar entrando a estos merchants, en barrios que había muchos caribeños y suramericanos, hasta brazileños, pero muchos de los comerciantes eran hispanoparlantes. Yo le decía que a mi me daba algo entrar allí porque se nota que yo no soy del barrio, estoy entrando como estudiante y estoy queriendo hablarles a ellos de cómo está la situación económica y demás, y pues es difícil. Uno se siente que está siendo bien entrometida, y viniendo bien de afuera a estar hablándoles. Pero ella me dice, la ventaja que tú tienes es que no sólo estás hablando español y que eres una muchacha, sino que eres una muchacha linda, con una sonrisa linda, o sea sácale el beneficio a eso. Porque si llega a ser un muchacho, posiblemente ni le estén hablando. El hecho de que eres muchacha, tú aprovéchalo. M- Después de Pratt, ¿cuál fue tu proceso? En Pratt, ese primer año no trabajé. Estuve puramente estudiando durante el semestre. Esas vacaciones de verano sí busqué internships, he hice uno en conservación sobre estar haciendo unos surveys. Además trabajé en el centro de estudios puertorriqueños. En Pratt da la casualidad que todos los proyectos que me daban se ataban de alguna manera a comunidades latinas, hispanas. De alguna manera u otra terminaba escribiendo de Puerto Rico, primero de un parque de una comunidad puertorriqueña que ha sido olvidado. En esa área de Brooklyn tú le preguntas a los residentes de hoy, y te dicen que esa área siempre fue de los irlandeses, de los swedish, cualquiera de los que trabajaban en el muelle. En ningún momento se da la información de que eso fue un barrio puertorriqueño bien grande. En realidad fue de los primeros barrios puertorriqueños antes del Spanish Harlem, y antes del Lower East Side, ya que allí era donde llegaban en el barco. Yo escribí de ese parque, que se convirtió en un shanty town, como un caserío. La gente decía que era de drogas pero no necesariamente eran drogas. El construir casitas así es un fenómeno que hay aquí en NYC, que los puertorriqueños que han sido botados de sus casas consiguen estos lotes que están vacíos, construyen casas con madera, e invaden y crean un barrio. Aparentemente allí habían casas, por más que la gente pensaba que era un caserío y demás, pues eran casas. Es una tipología que hoy día se aprecia, hoy día es histórica, y hay bien pocas en NYC. Hoy día se están tratando de preservar. 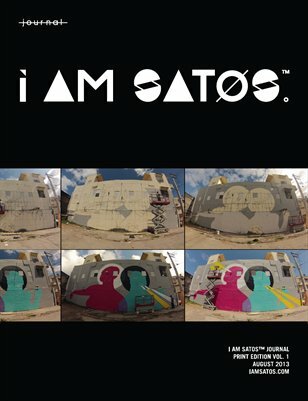 Luego escribí de preservación histórica sobre barrios puertorriqueños en NYC. Trabajé en el Centro de Estudios Puertorriqueños de Hunter College, que tiene toda la información de la diáspora a EEUU específicamente a NYC. Es una fuente de información enorme para cualquier persona que está haciendo estudios puertorriqueños acá en NYC, de todos los políticos, todas las personas revolucionarias, y todas las personas que hicieron algo por la sociedad, tanto en Puerto Rico como en EEUU. Este trabajo lo conseguí por un profesor que había trabajado con ellos y me dijo que estaban buscando a alguien que los ayudara a archivar. Durante el último semestre de mis estudios en Pratt trabajé en PortSide New York, que es un non-for-profit que se dedica a hacer que NYC conozca y aprecie los recursos marítimos. Las oficinas eran en un retired oil tanker estacionado en Brooklyn, en el Navy Yard. El trabajo que tengo actual fue que yo había tomado clase con una empleada del World Monuments Fund, que era la única que en Pratt nos enseñó International Conservation. En Pratt el programa está bien dirigido a NYC, eso es algo bueno y malo también. Esta clase de International Conservation pues te daba un vistazo de sitios alrededor del mundo y la labor posible en estos sitios; yo quedé encantada con esa clase. Tengo una amiga que me invitó a las oficinas del World Monuments Fund para ver una presentación que estaba abierta al público sobre unas casas particulares en Haití, nominadas Ginger Bread Houses, de las cuales yo había escrito un ensayo. Estando allá ese día me puse a hablar con quien fue mi profesora. A modo informal le dije ya graduada estaba buscando trabajo para el verano o algo más serio, y que si necesitaba a alguien, especialmente a alguien de Puerto Rico, que habla español, específicamente con los sitios de Latinoamérica, pues que estaba muy interesada. Ella me dijo que le enviara mi resumé, y dos semanas más tarde estaba trabajando ahí. Empecé como intern para algo de tres meses, en Junio de 2011, y ahora en agosto me hicieron asistente. M- Sobre tu educación en Pratt, me estás hablando de que es investigación, visita al sitio, y escribir. ¿Qué más envuelve? Investigación histórica, además de oral history porque no tan sólo se trata de conservar el edificio si no que también es el patrimonio intangible. Ahí entra más la historia de la comunidad, las ceremonias, las tradiciones; todos estos ritos que han tenido estas comunidades. Pues es una manera de documentarlas o hacer que la nueva generación redescubra la importancia de todo esto. El programa de Pratt es parte de la Escuela de Planificación. Para el proyecto del site en New Jersey fue más bien hacer un plan de cómo intervenir en el sitio, no en los edificios sino un master plan. Había algo de urbanismo en todo esto, necesitábamos crear espacios públicos, las aceras necesitan ser de tal manera. Pero no era el punto nosotros diseñar o especificar eso a un nivel muy grande; poder decir vemos que esta comunidad tiene tal y tal cosa, pero le falta tal y tal cosa, y cómo entonces se crea un mapa de puntos clave. Se busca apoyar los negocios locales, siempre con el tema de lo local, y cómo entonces hacer que haya algún surgimiento en esa comunidad. M- ¿Qué es WMF para un arquitecto? Porque eres una arquitecta en el fondo, ¿qué es para ti WMF? Puede que yo esté empezando en WMF al revés. Muchos arquitectos terminan trabajando en WMF, por ejemplo muchos de mis supervisores son arquitectos retirados que ahora están como Project Managers. Así que yo estoy empezando quizás un poco al revés, estoy acá primero para quizás después salir hacia Project Manager. WMF provee financiamiento, como también puede manejar los proyectos de restauración y conservación dependiendo del caso, por lo que necesita estar en contacto siempre con arquitectos. Hasta cierto punto cuando yo estoy leyendo de los sitios en los que estamos trabajando alrededor del mundo, aunque me encanta lo que estoy haciendo y me encanta escribir acerca de los sitios, graduada de arquitectura al fin me da el sentimiento de que yo quisiera estar allí. Yo quisiera trabajar en lo que se está haciendo a nivel de construcción, no acá escribiendo sobre el trabajo. En WMF aunque también se habla del patrimonio intangible, en lo que nos enfocamos verdaderamente es hacer una intervención en el patrimonio inmueble, o sea que tiene que ser un edificio, una estructura, algo tangible que se pueda preservar. M- ¿Dónde más están los proyectos de esta oficina? Las oficinas en NYC son las principales. WMF en general ha trabajado en más de noventa países alrededor del mundo. Tenemos oficinas afiliadas: WMF Perú y WMF España, que son las dos hispanoparlantes. Otras localizaciones son WMF Britain, y WMF France; adicional tenemos afiliados en India, China y África. En la oficina como tal yo me reporto mucho a la directora de programa de Latinoamérica, España y Portugal. Norma Barbacci es quien maneja Latinoamérica, España y Portugal desde EEUU. Todas las localidades de variable nivel de autonomía, de alguna manera u otra se reportan a mi oficina. M- ¿Con qué trabajas directa o indirectamente? ¿Cuáles son tus responsabilidades? Trabajo con la directora de Latinoamérica, como associate para todos los sites de Latinoamérica. Trabajo con las personas relacionadas al proyecto, intercambio comunicaciones, y me aseguro que todo está corriendo como debería para apoyar la labor de Norma que esta haciendo el Project Management. Parte de mi posición es que estoy encargada del Social Outreach de WMF en español. Tenemos dos landing pages, conectados a WMF Spain, donde se provee contenido en español, noticias e información respecto a todos estos proyectos que estamos trabajando, tipo updates. Quien busca el contenido para esas páginas y se asegura que se renueva soy yo. Además tenemos información via Twitter. WMF tiene toda una campana de social media; otro ejemplo es la página en Facebook sobre WMF en general. WMF tiene todos los años lo que se le llama el WMF Watch. Para ellos personas alrededor del mundo, nominan distintos sitios que por alguna razón u otra están en riesgo. Desastres naturales, abandono, mal manejo, problemas políticos y otros, son algunas de estas causas de riesgo; entonces cada dos años se forma un panel de jurado internacional que nada tiene que ver con WMF y entonces se seleccionan para dar dinero para un proyecto o realizar una campana de promoción internacional. Un sitio en riesgo que quizás es poco conocido, una vez entre a nuestro website o empezamos a darle promoción, pues surge interés que apoye su preservación. El componente de social media es bien importante para regar la voz. En Twitter y Facebook los seguidores se mantienen con las publicaciones semanales. Hay momentos en que crecen de manera exponencial, por ejemplo en el caso del Cabanyal en España que envuelve una controversia política bien grande, cuando toda la prensa española publica que WMF está envuelto la gente abarrotó Facebook. M- ¿Qué alcance puede tener tu labor en Puerto Rico? La iglesia San José en el Viejo San Juan fue un Watch Site en el 2004, y WMF dio dinero. WMF podría trabajar muchísimo más en Puerto Rico si la gente nomina sitios a WMF. El patrimonio de Puerto Rico tiene muchas cosas preciosas, y de mucho valor histórico, y si las personas van a trabajar con ellas deberían conocer el recurso de WMF. El premio Modernismo que WMF ofrece cada dos año es uno que pueden tomar mejor provecho de él. Este año yo le escribí a muchos profesionales en Puerto Rico invitándoles a someter su trabajo o regar la voz si conocen a alguien que trabajó en la rehabilitación de algún edificio del movimiento moderno para ser nominada al premio. Yo pensé que más gente se iba a nominar. Este año se nominó el Museo de Arte de Ponce, renovación a cargo de la arquitecta Brigida Hogan. Este es un edificio de Edward Durell Stone; un edificio bien poco reconocido en EEUU pero de un arquitecto muy reconocido pero muy controversial también. La obra tiene mucho merito y ahora la obra esta siendo considerada. Me alegro que esa haya entrado, pero me molesta el no haber encontrado una buena base de datos para lograr conseguir que más obras se nominaran. M- ¿Quiénes en Puerto Rico deben tener la responsabilidad de estar pendiente a ello? Hay muchísimas firmas de preservación histórica allá en Puerto Rico, y la arquitecta Beatriz del Cueto quien trabajó con la Iglesia San José, fue quien sometió la nominación para el Watch. El hecho de que Karen Cuadro, arquitecta en entrenamiento activa en el los esfuerzos del patrimonio en Puerto Rico, y yo todavía podamos intercambiar información en respecto a la conservación pienso que eso quizás va a abrir puertas para regar la voz. M- ¿Cómo te ves desarrollándote profesionalmente dentro de esta organización u otras en los próximos 5 a 10 años? Quisiera volver a trabajar con el edificio, directo con la obra de arquitectura. Pero no necesariamente como diseñadora. Puedo hacer la documentación, y trabajar en las mejoras que se le vayan a implementar al edificio. No sería una arquitecta para crear imágenes bonitas. Pero todavía estoy experimentando con lo que estoy haciendo aquí en WMF, y observando a dónde me lleva todo eso. M- ¿Seguirás en NYC? ¿En EEUU? ¿O volverías a PR? Por ahora me encanta NYC, y me encanta vivir en Brooklyn, pero yo voy a regresar a Puerto Rico. Mi pánico es que la mayoría de mi vida esté acá en NYC o en EEUU; yo no quiero llegar a eso. Yo quiero sentirme que soy siempre de allá, de Puerto Rico, de la Isla. Lo que llevo son tres años acá. Pienso que lo que sea que estoy aprendiendo acá me va a ayudar a contribuir cuando vaya para Puerto Rico. M- ¿Quién es Stephanie Ortiz? Yo soy quien siempre he sido, pero a la vez hay parte de mi que siempre sigue evolucionando. Dedicated and hungry for knowledge. El querer saber qué se está haciendo, por qué y si se puede hacer mejor. Esto tanto en la preservación histórica, para ver cómo yo puedo hacerlo, y cómo yo puedo regresar a Puerto Rico y contribuir allá. Quien yo voy a ser es la que se desarrolla aquí en EEUU y aprende todo esto, específicamente en mi carrera profesional para entonces regresar a Puerto rico y tratar de shake things up. Pero he descubierto que de alguna manera u otra a lo que me dedique en el futuro tiene que estar atado a la preservación. La preservación histórica es mi norte.